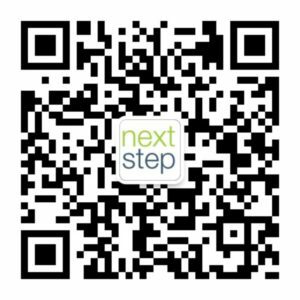 –> Update: An FDA official, head of Brigade from Jing’An district, Mr. Xu Xin will be joining us during the Q&A. Anyone who sells food should be responsible for the safety of their consumers. After all, food and beverage can be easily contaminated with harmful bacteria that can cause sickness and even death if not handled properly. This is why the Food and Drug Administration (FDA) has been established to ensure that the food and drugs that are being consumed by the public are considered safe to eat. In a city like Shanghai, each district has its own FDA department who is responsible, amongst many other things, of ensuring restaurants in their district are compliant with local regulations. That also goes through ensuring that kitchen design follows the regulations given by the FDA. 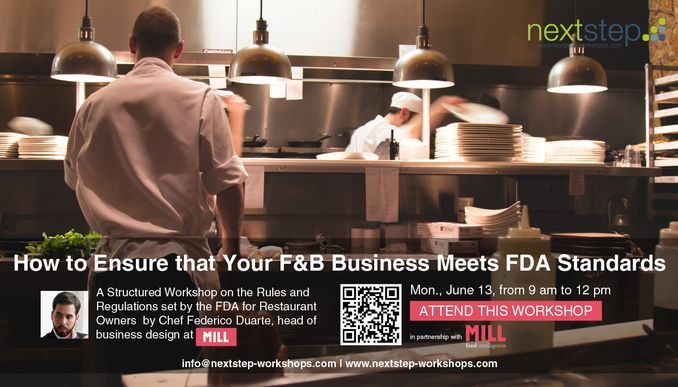 In this workshop brought to you by Mill Food Intelligence and NextStep, we will give you an overview of the different area of responsibilities of the FDA that are directly related to food service, with a special focus on the rules that apply to kitchen design. These rules are the main reason that a good number of restaurant openings get delayed: if the kitchen design has not been approved by the FDA, the restaurant will fail to get a license. Despite being complicated, those rules are far from being impossible to understand for a foreign restaurant owner. 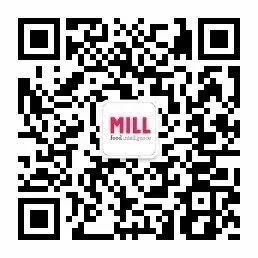 Together with Federico Duarte, Head of Business Design at Mill Food Intelligence, you will go through the booklet of the FDA, step by step and understand the meaning of those rules. 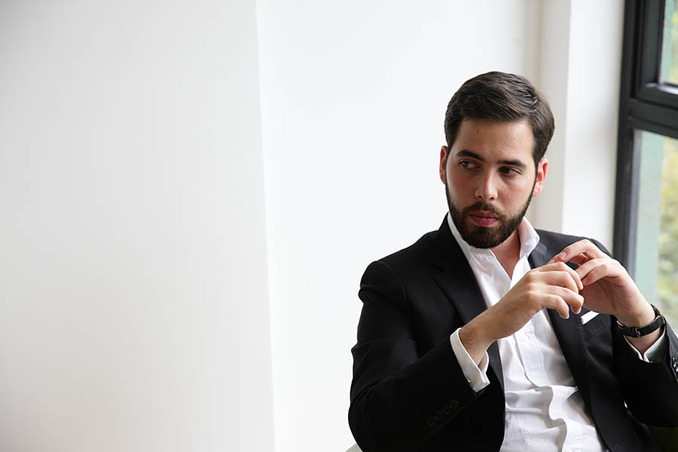 Chef Federico Duarte has a double profile, he holds a BA in Culinary Arts and Restaurant Management from Institut Paul Bocuse and an MBA with a focus in Cross Cultural Management from Jiaotong University. Chef Federico lead the team that brought Institut Paul Bocuse to Shanghai in 2010 and succeeded in operating a top-end Culinary School in China and training over 400 elite culinary professionals. He has served as a Culinary Consultant for international companies and helped them kick-off their business in China. He is also a member of the Asia-Pacific and China Jury for the Bocuse d’Or competition, a culinary cook-off that gathers the world’s best Chefs under one single contest. Hailing from Colombia, Chef Duarte has a large international experience and a global mindset. He is currently the Head of Business Design at MILL Food Intelligence and has served as F&B consultants for the likes of Outback Steakhouse and Noodles & Company. –> Update: An FDA official, head of Brigade from Jing’An district, Mr Xu Xin will be joining us during the Q&A.